EMT professor shares his journey doing rescuing work and how he uses what he learned to teach the next generation of EMT students. He also takes Warrior Life onto his piece of land in Claremont where he lives with his family and keeps chickens. 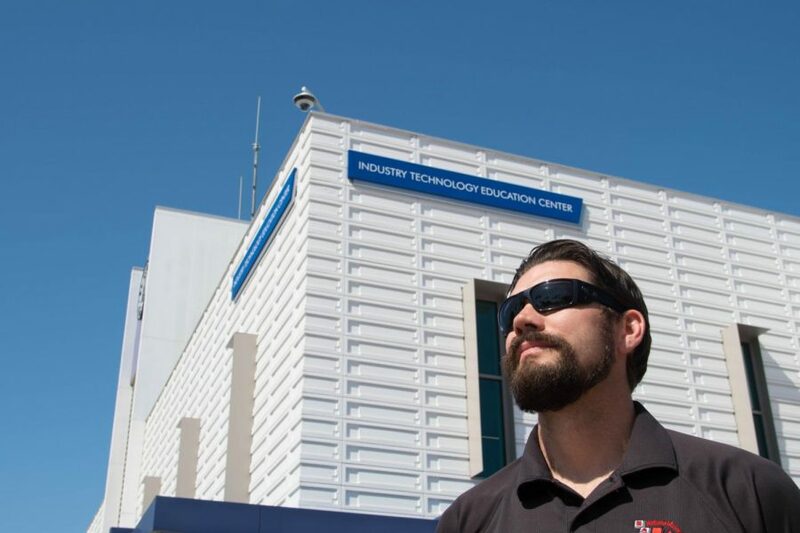 Ryan Carey poses in front of the ITEC Building where he teaches the next generation of EMTs. Photo by Justin Traylor. The dark knight roams the halls of the Industrial Technology Building.Dressed in all black with a tip-top physique, his presence is unforgettable as he roams the halls with his impeccable stature. His full beard, matched with a goatee, gives off a sense of wisdom as though he has seen a lot of things in his lifetime. His one-of-a-kind electric personality and unforgettable laugh makes anyone feel welcome. If Bruce Wayne had another alter ego, his name would be Ryan Carey. But things weren’t always perfect for the 6’5” knight. Growing up in San Gabriel and attending Gaberielino High School was its own challenge. “There were gangs everywhere,” Ryan says. He says he grew up ironically a minority because San Gabriel’s student body was mostly African American and Latino and he is white. 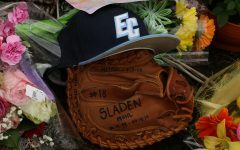 To stay out of trouble he and his brother, Shawn, would make as many friends as possible. They also played sports including basketball, golf and volleyball. This is where he learned the Golden Rule: treat people how you want to be treated. This is a rule that Ryan lives by every day. “It’s fundamental,” Ryan says. But Ryan, a 34-year-old EMT program director at El Camino, is ready to teach his students everything he knows about saving lives. On a normal day, the knight walks into Room 222 with one purpose and one purpose only: to get the next generation of heroes ready for the world ahead of them. Ryan walks in front of the class as the chairs screech as students take their seats. He looks toward the class and scans the room with his light blue eyes. “Good morning guys. 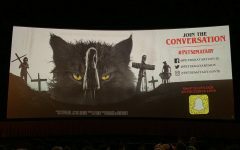 It’s time to begin,” Ryan says. Ryan holds up the dummy he uses to teach his classes and grins for the camera. Photo by Justin Traylor. Ryan’s journey began like most of his students; he started his college education at a community college. Ryan went to six different community colleges to get his associates degree, where it took him a total of seven years to attain. “I would just grab units everywhere I could,” Ryan says. He would take any class related to fire tech and “I would finally smash them all together and it was just like ‘yes, I got an associates degree from Bakersfield College,” Ryan says. Two years later he obtained his bachelor’s in fire administration at Waldorf University in Forest City, Iowa. One and a half years later, he finally got his master’s degree from Grand Canyon University with an emphasis on disaster preparedness and effective fire leadership. 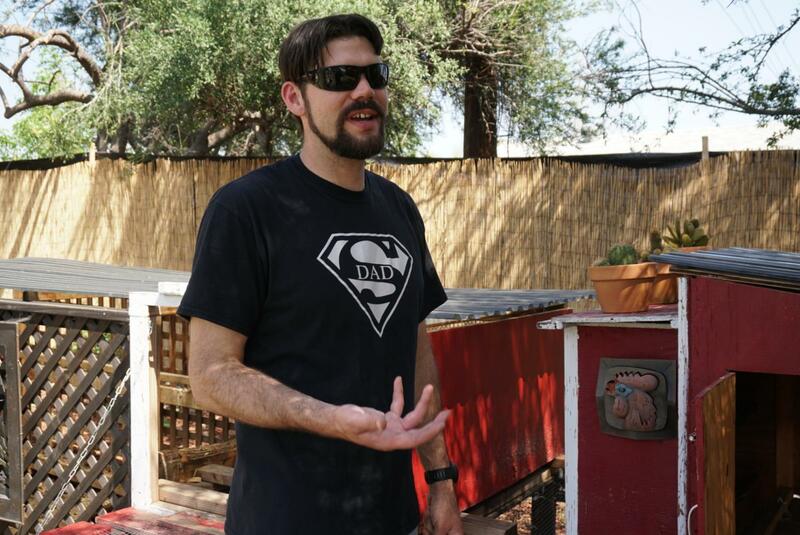 Money was a big issue for Ryan, but he was able to take out a loan and achieve his goal. “It changed my life,” Ryan says. He gives credit to his mother, Tina, and sister, Ali, for being strong role models. Theywere hard-working and kind, so Ryan admired that and tried to implement that in his life. Ryan took this path because he wanted to be promoted in the leadership positions in the fire tech industry. He wanted to be a planning section chief or insect chief so that he could plan large-scale operations. EMTs must “adapt to changing circumstances and provide high-quality patient care no matter the circumstances,” Matthew says. Ryan talks about his chickens and how he built the coops. Photo by Justin Traylor. As a 13-year veteran in his field, Ryan has done pretty much everything in the industry. Early in his career, he worked for the United States Forest Services as a firefighter chief for three years. But in 2012, Ryan blew his back out during his time as a Wildland Firefighter for the United States Forest Service. While Ryan was on shift he was doing fuel clearance behind the station, which involves clearing all the brush and trees up to about 8-feet tall. Ryan was standing on the tips of his toes cutting the limbs of the trees with his chainsaw. He was working on that about three to four hours. Then, as he was cutting, “I pinched my chainsaw bar in the tree,” Ryan says. He misread how thick the tree was which caused his chainsaw to get stuck. The chainsaw stayed there in the tree as he fell immediately to the ground. The disc in between Ryan’s vertical column in his back combusted. “The doctor said it was like [when someone steps] on a ketchup packet,” Ryan says. “It really messed me up for like eight months. I had multiple spinal surgeries. 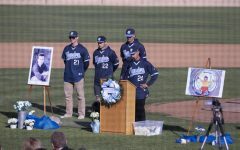 The last one I had was a spinal fusion, so they rebuilt the lower part of my back,” Ryan says. After the surgeries, he was left with a 14-inch scar on his back and a loss of feeling in his right leg and the bottom of his foot. “It essentially took me out of the game entirely,” Ryan says. Later, Ryan was placed on light duty and was about to embark on a new journey. 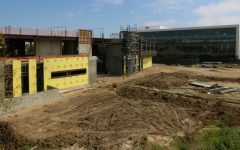 Ryan began to work in the national training center as a training coordinator for the United States Forest Service in Arcadia. There, Ryan was able to train students from all over the world about doing the job he loves. Now, Ryan has brought his talents to El Camino. He started in 2014 and he absolutely loves being a professor. Ryan tries to do everything in his power to help his students. He tries to stay connected with them so it’s easier to get them closer to their own goals. One of Ryan’s former students, 21-year-old undecided major, Joseph Romero, says that Ryan is determined and hardworking. However, Ryan says that he still misses being a firefighter. “It’s like being on a big winning team; it just feels good,” he says. 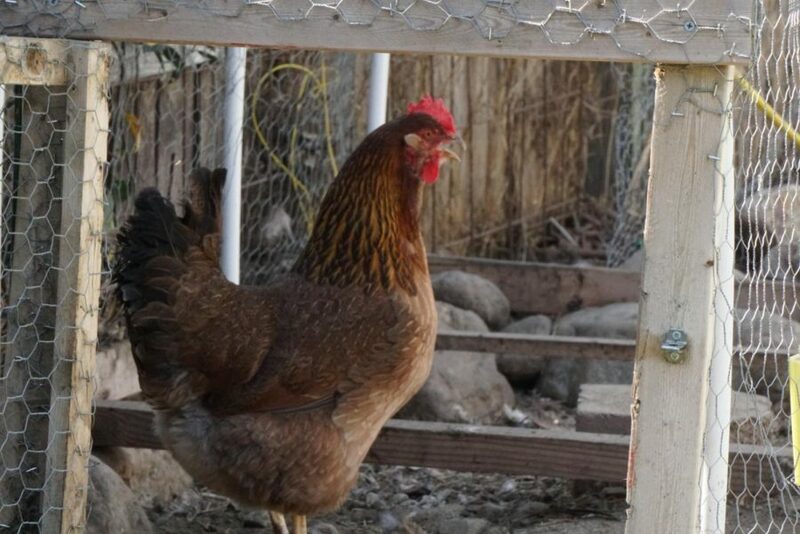 One of Ryan’s chickens. Photo by Justin Traylor. Ryan’s rooster stands tall and proud. Photo by Justin Traylor. Another one of Ryan’s chickens. Photo by Justin Traylor. 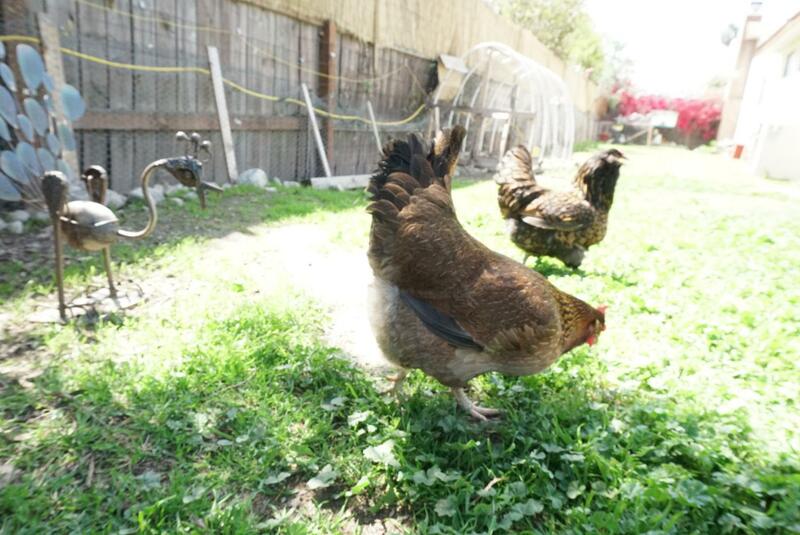 Chickens frolicking about on Ryan’s piece of land. Photo by Justin Traylor. Ryan carries one of his chickens in his arms. Photo by Justin Traylor. Ryan stays pretty busy. When he’s not at El Camino he’s at home or, as he calls it, his “little quarter acre of land” in Claremont spending time with his wife, Laura. 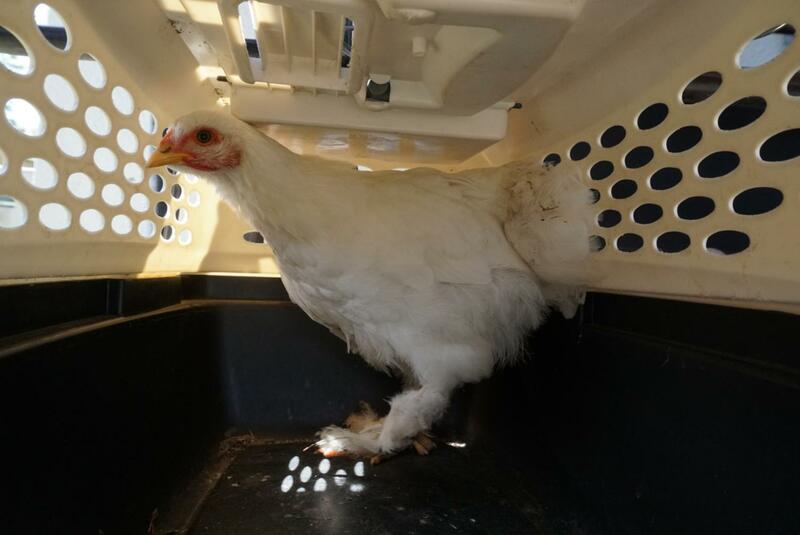 They also take care of 10 chickens, three dogs, four cats, and three children (13-year-old Naia, 12-year-old Griffin, and 4-year-old Owen). 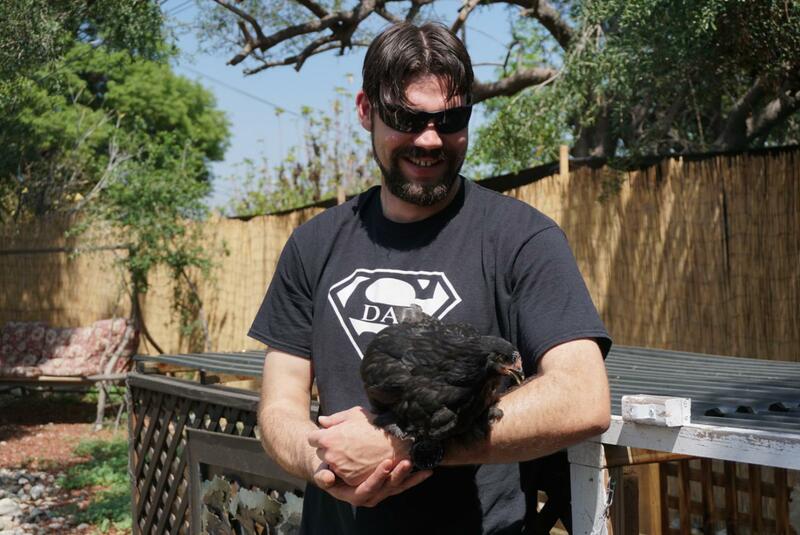 “Life is relaxing here out here,” Ryan says suited with his black “super dad” shirt and black shades as he watches Owen feed the small flock of chickens. Owen throws handfuls of feed in random directions as he runs back to his dad, smiling and covered in feed. Dressed in a black polo shirt and green and grey striped with blue shorts, Owen matched his dad’s energy ten-fold. “Are you ready for more, little buddy?” Ryan says. Owen shook his head profusely with a Kool-Aid smile, and Ryan gave him a reload. “I feel like being out here keeps all of us grounded,” Ryan says. “Sure buddy, let’s jump,” Ryan responds. They both entered the blue netted trampoline where they both began to jump higher and higher. You could hear the laughter and enjoyment for blocks away from the backyard. Soon after, Ryan and Owen get out to enjoy a nice cool glass of water. 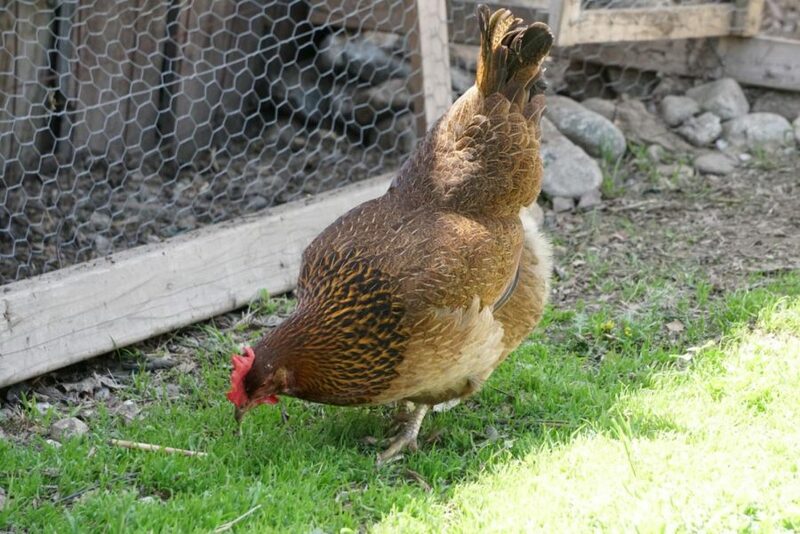 It was now time to round up the chickens and call it a day. 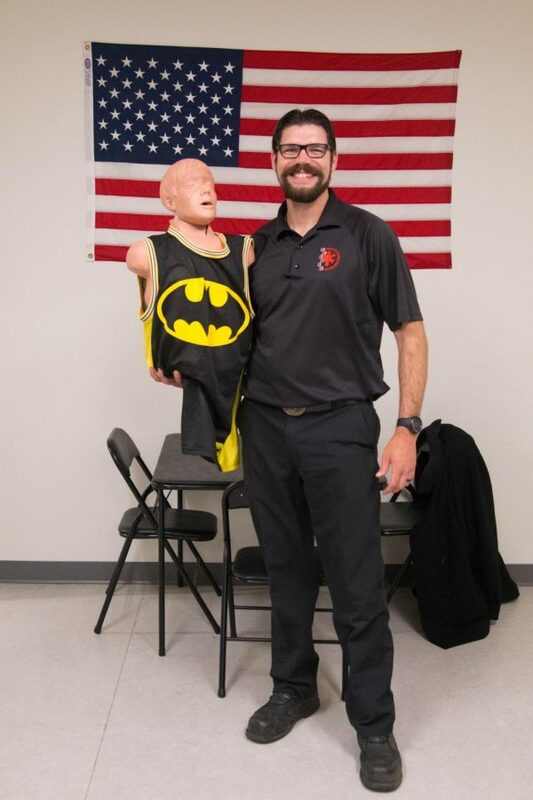 When he is not at El Camino or in Calremont, Ryan volunteers for Tulare Unified School District to give free CPR and first aid training. His class is mainly people in continuation school. They are students who are going through tough times; sometimes his students can’t even afford a pair of boots. “If you give them a little piece of something and they have the motivation to succeed and attain their goals, it’s a beautiful thing to see,” Ryan says. 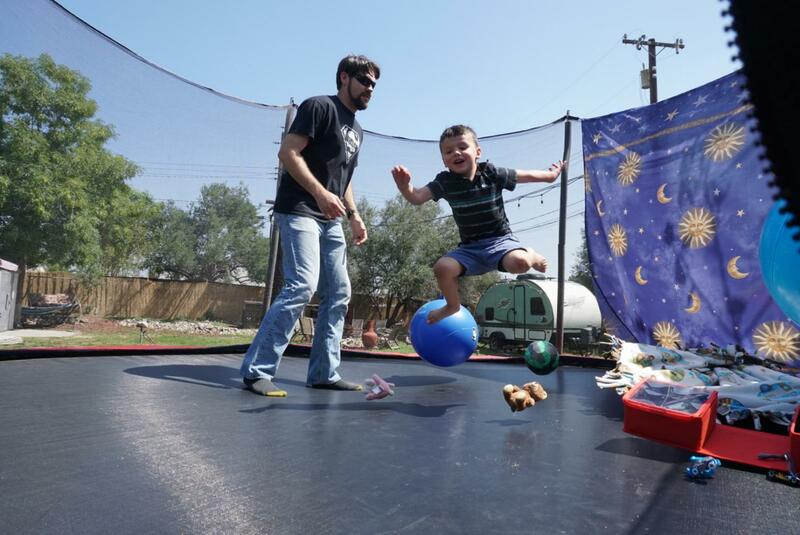 Ryan and his son Owen share quality time in their trampoline at their home-turned mini farm in Claremont. Photo by Justin Traylor. 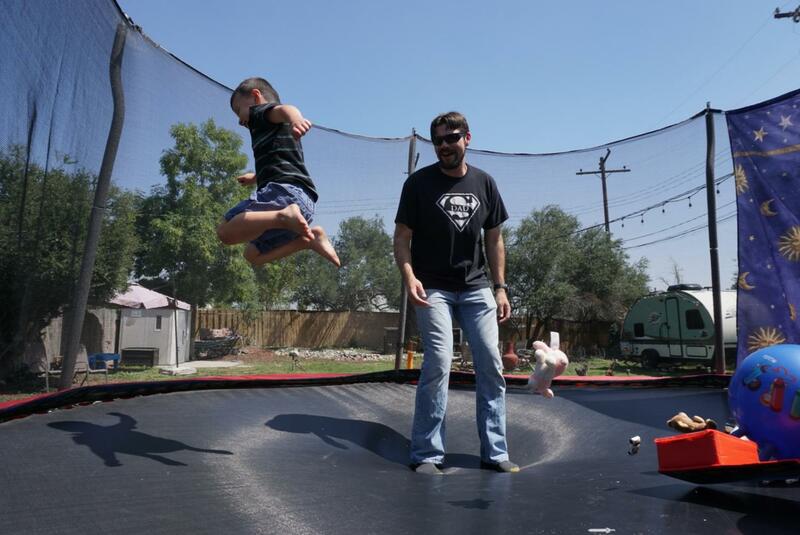 Ryan and his son Owen enjoying time on the trampoline. Photo by Justin Traylor.